The axing of the Child Trust Fund was amongst the most controversial of the coalition government’s early moves. The Child Trust Fund (CTF) was a popular means by which parents could set aside money for their child, in a tax-efficient manner. After its abolition the government was under pressure to offer an alternative – and the Junior ISA was launched. But is it really a match for the CTF? The Junior ISA is a new, tax-free savings account. It is a way for parents, grandparents, and other relatives and friends to save for a child’s future. The Junior ISA was touted as a replacement for the Child Trust Fund. But, while both provided a tax-efficient way to save, the Junior ISA is quite a different proposition. As with conventional, ‘adult’ ISAs, there are two types of Junior ISA – a cash account, and a stocks and shares account. You can invest up to £3,600 in the Junior ISA during each tax year. You can open both types of account – but it is important to understand that this does not mean that you double the amount you can invest on your child’s behalf. Rather, you have the option to split that £3,600 limit (for the 2011-12 tax year) between the two accounts in whatever way you see fit. There are potential advantages and disadvantages to each of the two types of account. Primary amongst these is risk; the cash account should be thought of as a savings option, while the stocks and shares account is an investment. It is possible to move money between Junior ISAs, provided that they are in the same child’s name. How do I open a Junior ISA? As with their adult equivalents, the intention is that Junior ISAs should be easy to set up and manage. The idea is to get people to save for children’s future – and the barriers to opening and managing a Junior ISA are therefore relatively low. If the child in question is under the age of 16, the Junior ISA can only be opened by someone with parental responsibility. If the child is aged between 16 and 18, they can open the account themselves. The account will always be in the child’s name – but a ‘registered contact’ will be responsible for its management. This contact will be the person who opened the account. Once the child turns 16 they can choose to manage the account on their own. How do I choose a Junior ISA? It is important to understand that there is a range of Junior ISAs available. Virtually every High Street bank offers an account, and many other financial institutions are providing their own options. There is no ‘standard’ set of terms governing Junior ISAs. Instead, you need to shop around to find the right deal for you. As has been mentioned, perhaps the most important consideration is risk. You need to decide what risk level you are willing to accept. If you are particularly risk averse you will probably choose a cash ISA. On the other hand if you are willing to take some risk, you might choose a stocks and shares account. So-called ‘managed investment’ options will also give you some say over how much risk the cash is subject to if you go for the stocks and shares account. You should be wary of accounts that are offering freebies to entice new customers. Many of the most popular Junior ISAs currently on the market come with vouchers for chain stores – but all too frequently these are used to disguise the fact that the ISA itself is poor value. You should pay particular attention to the minimum deposit. Different accounts will require different opening deposits – and these can be substantial. Generally the best deals are reserved for those who can make a large deposit, for example of £500. Is this as good a deal as the CTF? For all the government’s protestations, the Junior ISA and the CTF are very different beasts. The big draw of the CTF was the ‘voucher’ provided by the government on opening, which was intended to kick-start saving. The government makes no such contribution to Junior ISAs. It is also worth noting that, with base rates at historic lows, the interest paid on most Junior ISAs is relatively paltry. But rates will not remain this low forever, and as they rise the tax-efficient ISA system will become more enticing again. Finally, you should remember that your choice of Junior ISA could have significant implications for your child’s future savings. 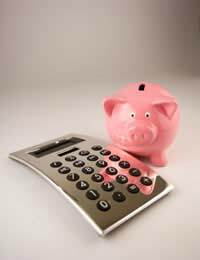 You should therefore consider seeking independent financial advice before making a decision.